Come join the fun in our casual, relaxed atmosphere, and don’t forget DJ Trivia Night every Thursday! Browse through our Bar Specials and Entertainment Listings following. Happy Hour is topped off late night at Eagle’s Nest Resort! Every Saturday 11am – 3pm. Create-Your-Own the way you like. 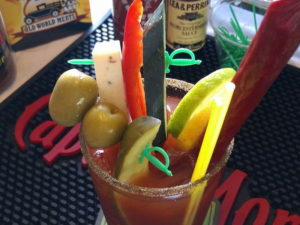 Our Bloody Mary Bar includes all the extras – olives, pickles, green-red-yellow peppers, cucumbers, celery, lemon, lime, hot sauce, and even Old World Meats beef sticks! 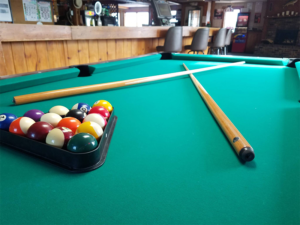 Free Pool too, every Saturday 8am – 5pm! 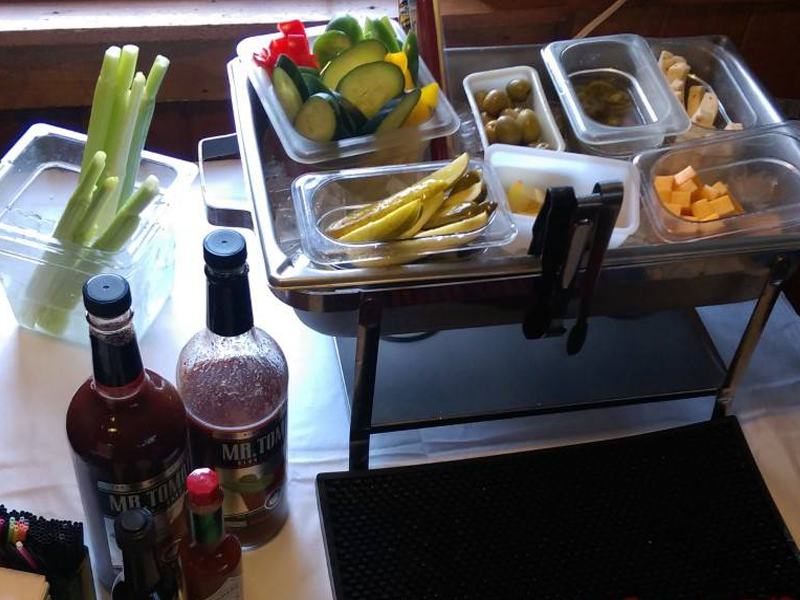 Eagle’s Nest Bloody Mary Bar every Saturday! Sat Nights Burger & Beer Special! Every Saturday Night you get a steal of a deal!